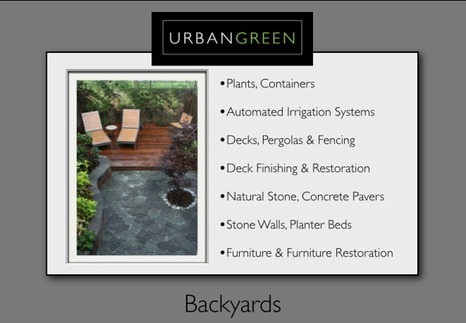 URBANGREEN��specializes in transforming your outdoor space into an oasis of green and quiet that is a natural extension of your home. �We strive to create gardens that are�relevant to your lifestyle, easy to�maintain and aesthetically pleasing throughout the year. 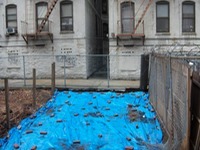 �We offer complete backyard renovation services including�demolition and cleanup, stonework, decks, fencing, automated irrigation and planting. Our clients include private residents, condominium and cooperative buildings and corporations.